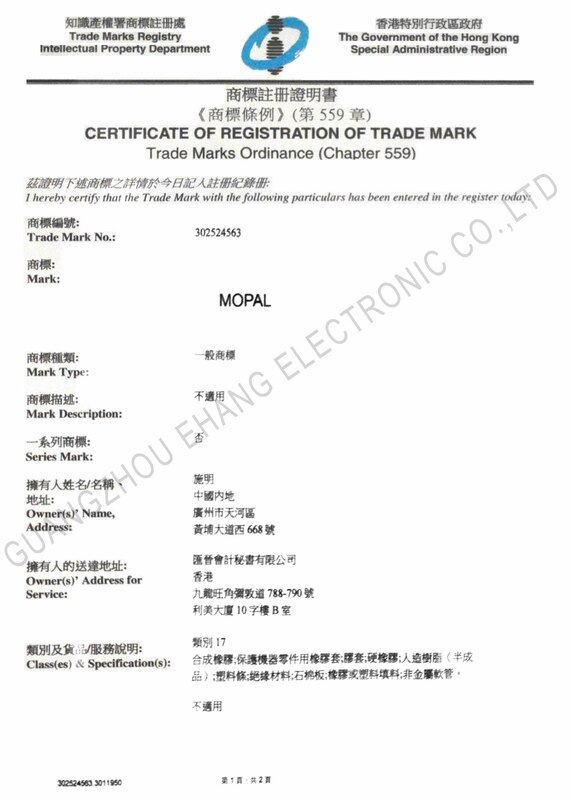 Company Overview - Guangzhou Ehang Electronic Co., Ltd.
6YRSGuangzhou Ehang Electronic Co., Ltd.
Guangzhou ehang electronic co., LTD,established in 2010 . 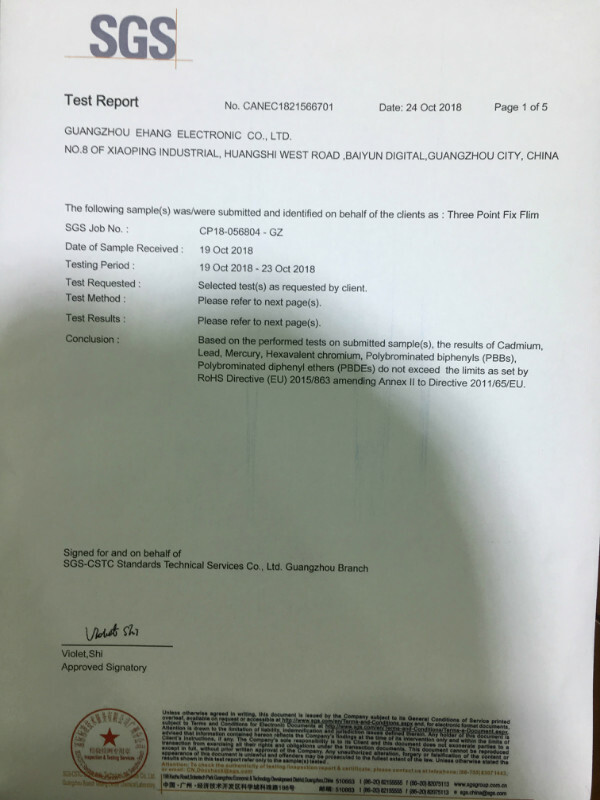 The factory is located in a beautiful environment of the baiyun area. 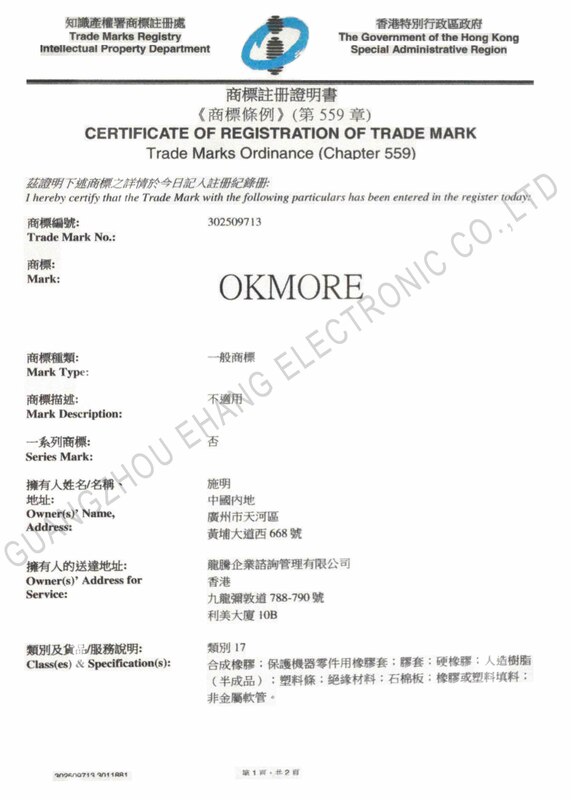 After more than a year's development company have staff more than 80, with famous brand "OKMORE", equipment more than 10. 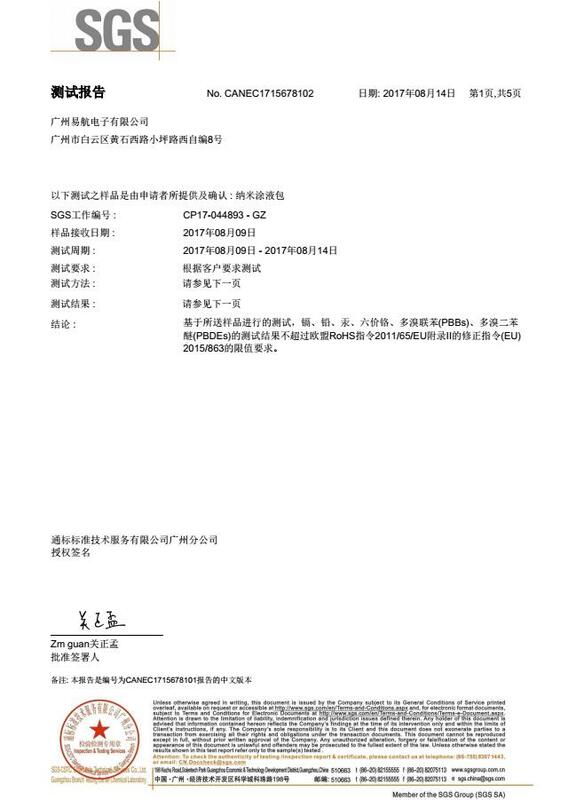 The annual output can reach 50 million piece. 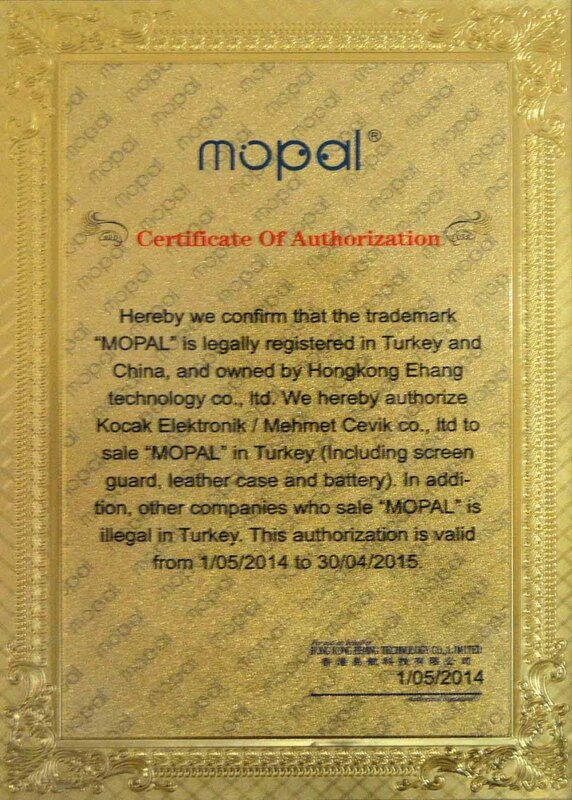 The company is committed to make one of the most well-known brands in electronic accessories industry. 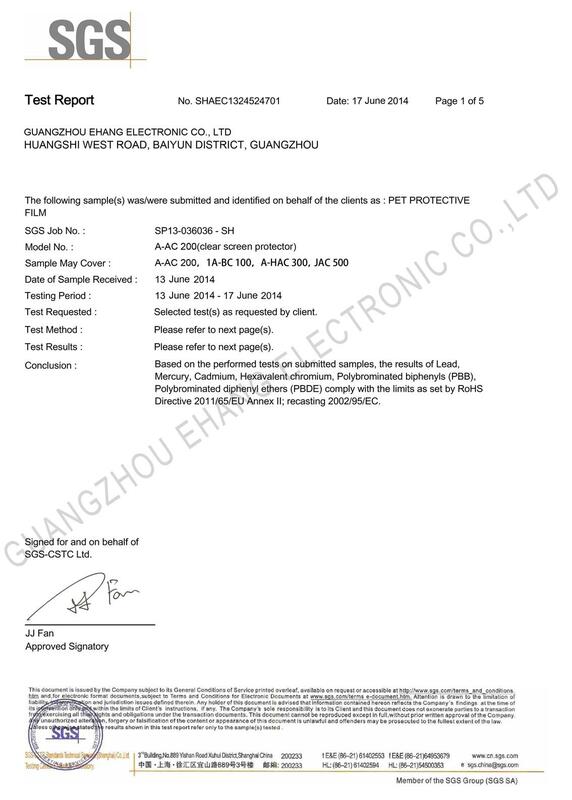 Professional research,develop, product and sell screen guard, mobile phone screen protector, protective case, leather case and other electronic parts, which widely used in various mobile phone, computer, laptop,tablet, camera, TV, video games, etc series of digital electronic products. 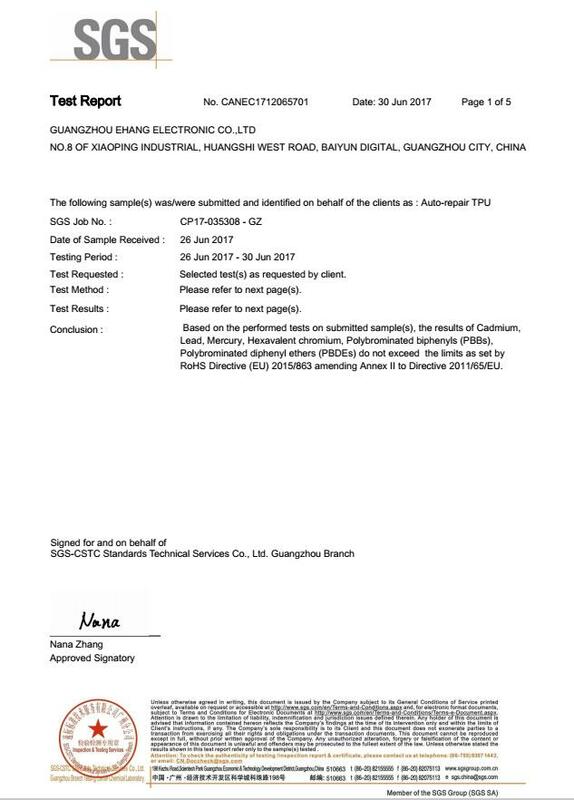 Is one of the few professional electronic accessories manufacturers in domestic at present ,which integrate research and development, production and sales. 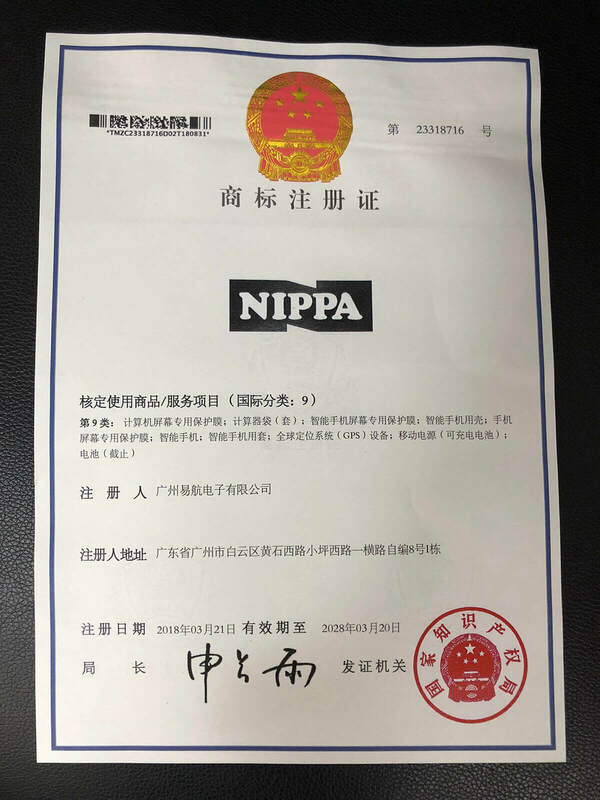 So far with the development of the company,we have set up production department and purchasing department, quality department, sales department, e-business department, brand department, office and other departments. 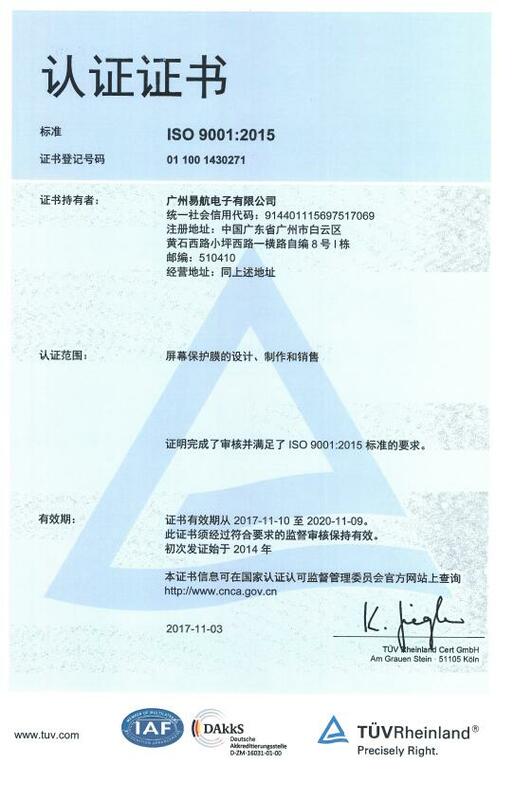 The executives of company were from samsung, TUV and other domestic and international enterprises, 90% of the management personnel obtain college degree or above level. 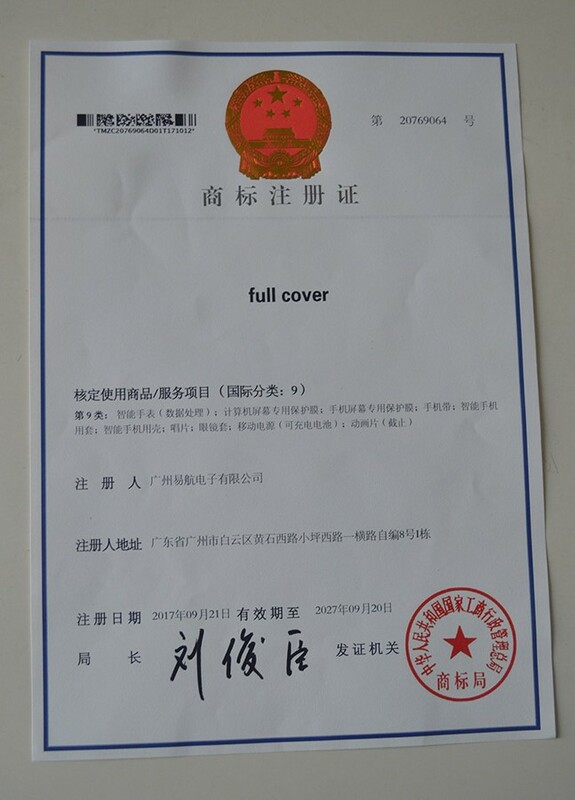 Our team is advocated "share, joy, unity, diligence" culture atmosphere, regular organized training, outdoor expand, birthday party, meals, etc. 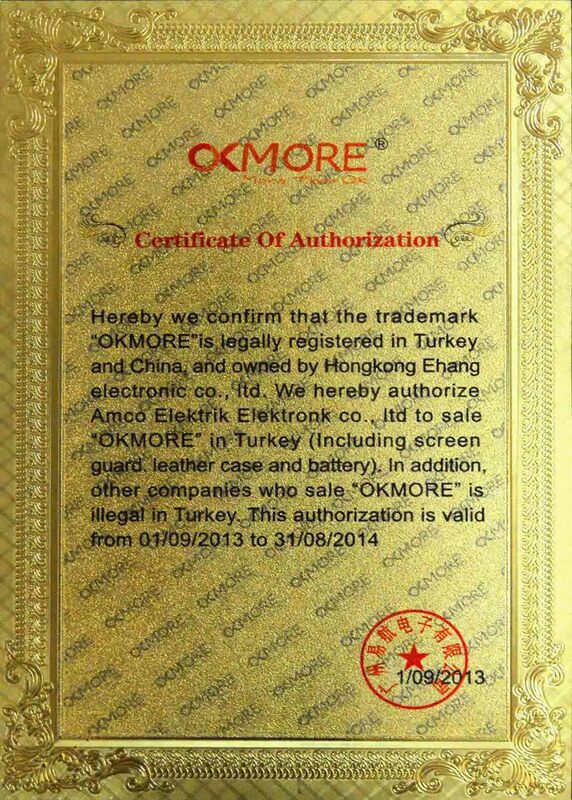 The company adhere to the "professional OEM + brand" double combining route. 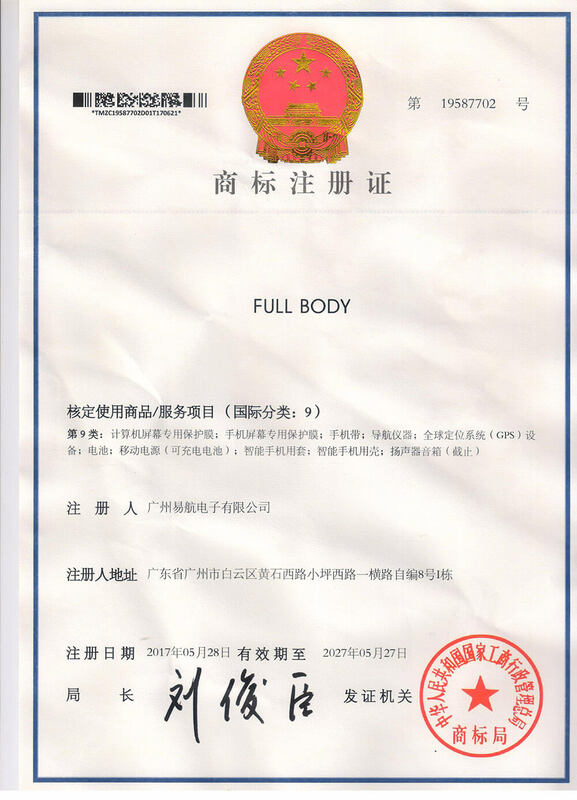 Now established e-business, brand operation, stores, offices, international business platform the five main big sales line. 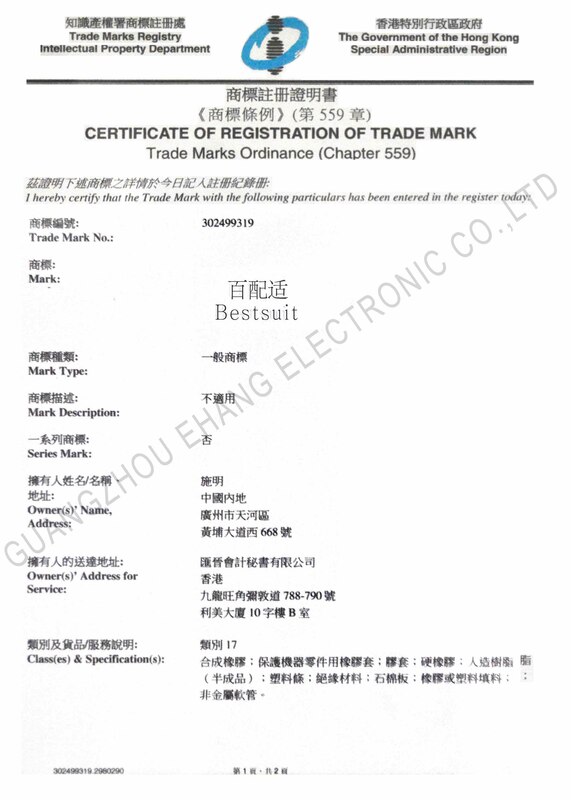 We have shop and office in nanfang building, new Asia, XinWenyuan three famous large electronic market in guangzhou city.By this way we firmly grasp the latest market information. 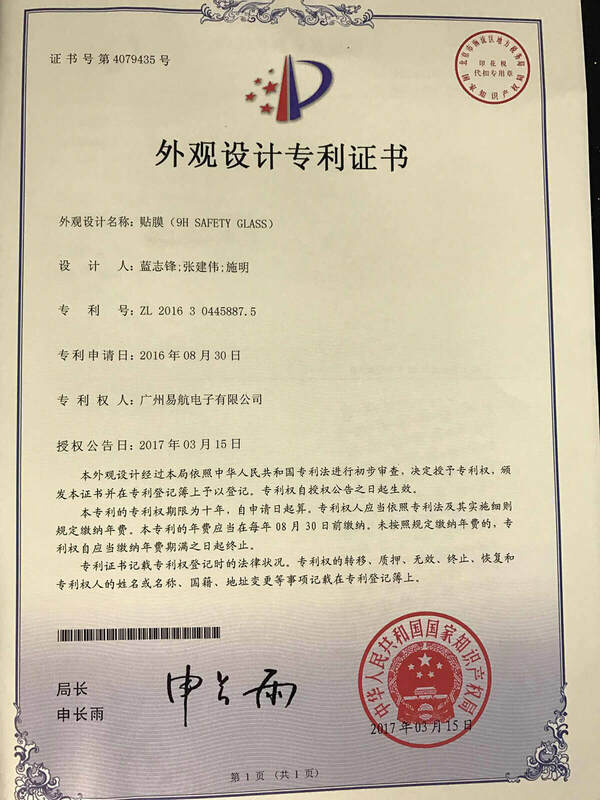 And at the same time established more than 20 sales agents in Beijing, Shanghai, hangzhou, xian, wuhan, etc city and set up the office. 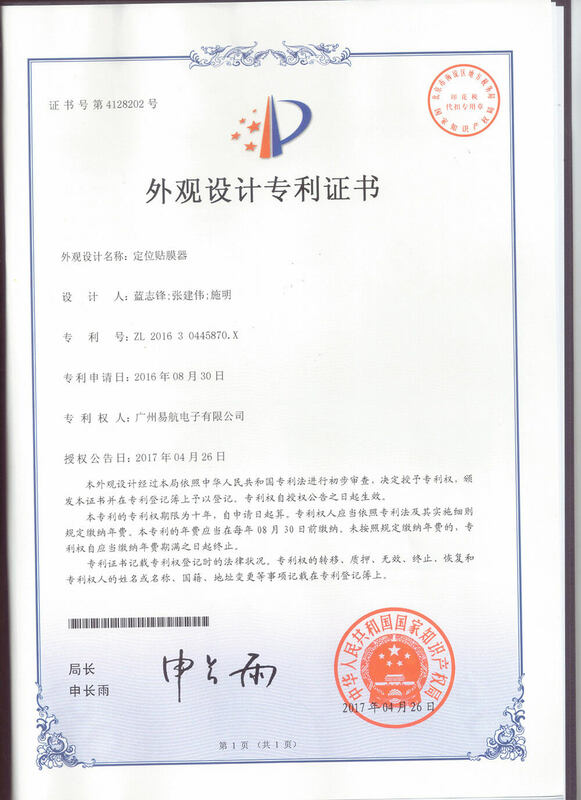 Successively opened alibaba, the global resources and international business platform. 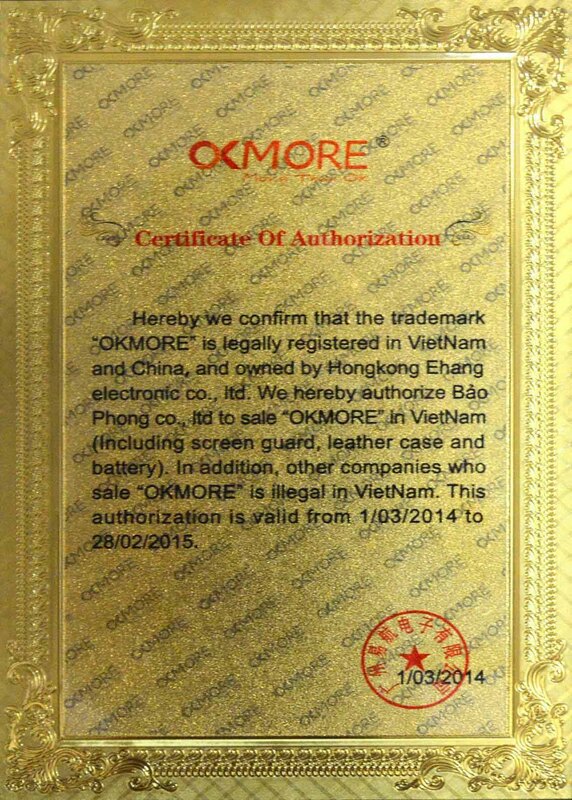 Our products has been exported to South Asia, Middle East, Europe, the americas, Australia.Our brand OKmore gradually won the domestic and foreign customers approval and trust. 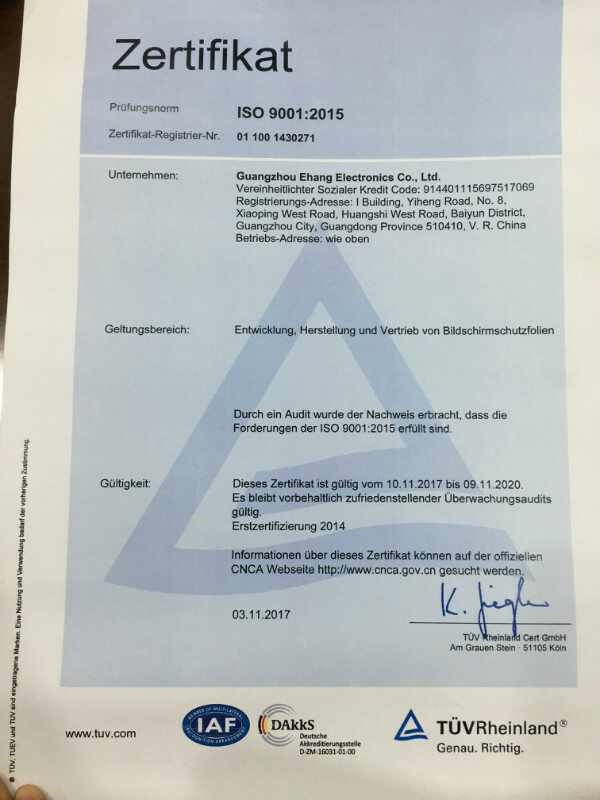 Honesty is not only our eternal commitment to customers, but also the management principle we stick. 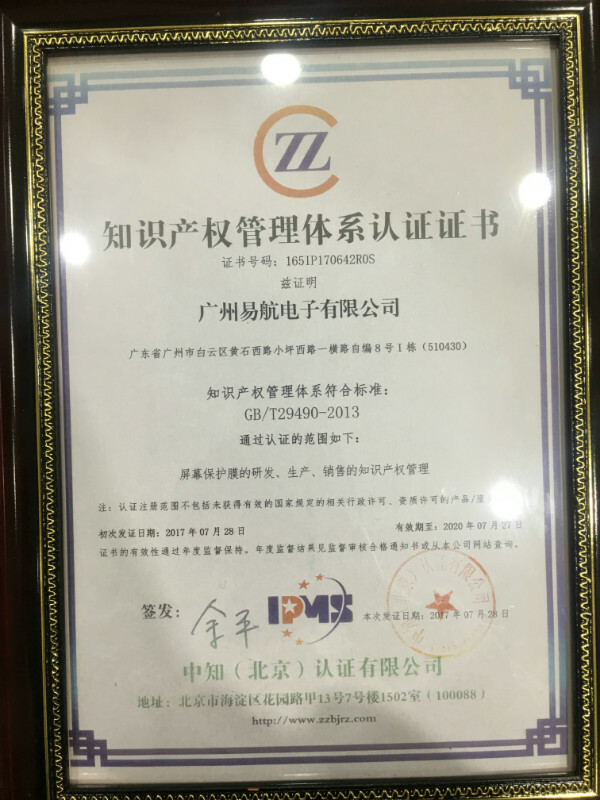 we will continue to improve and enhance we own, adhering to the "MORE THAN OK" concept, to provide MORE quality products and MORE professional OEM, ODM services, not just OK.We invites countries customer to make a win-win cooperation! 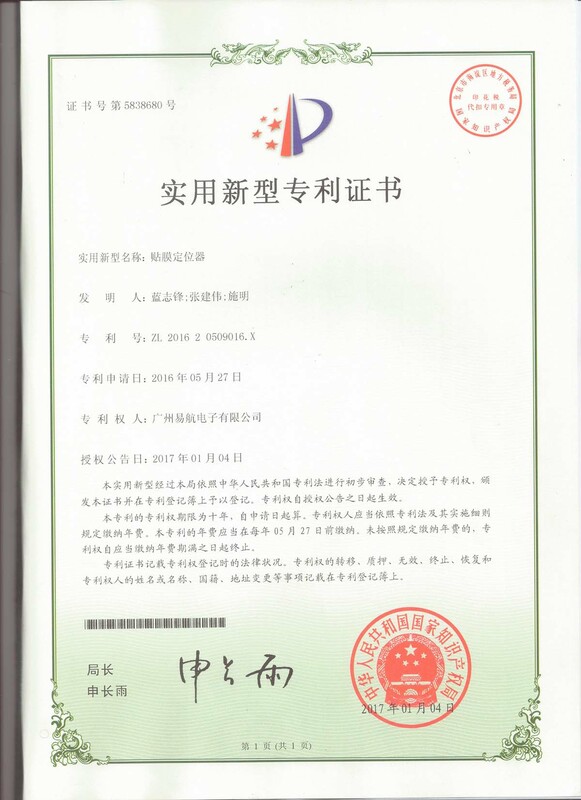 Development history:1) In Feb 2011, the company was officially established and the first store was opened.2) In April 2011, the second store was opened.3) In May 2011, e-business department was established.4) In June 2011, the sales office was established.5) In August 2011, our products were sold in Apple store.6) In October 2011, we confirmed the brand strategy.7) In February 2012, we moved to a new factory and the production turned to comprehensive automation.8) In March 2012, the daily output production reached 150,000 pcs.9) In April 2012, the third store was opened.10) In May 2012, domestic market point was opened.11) In June 2012, the fourth store was opened.12) In June 2012, the company adopted 6S principle and improved the proposal and index management system.13) In August 2012, we researched and pushed out the new product-laser color film.14)In April 2013, we researched and pushed out the new product-full body screen protector.15)In June 2015,we researched and pushed out the new product-9H nano flexible screen protector. 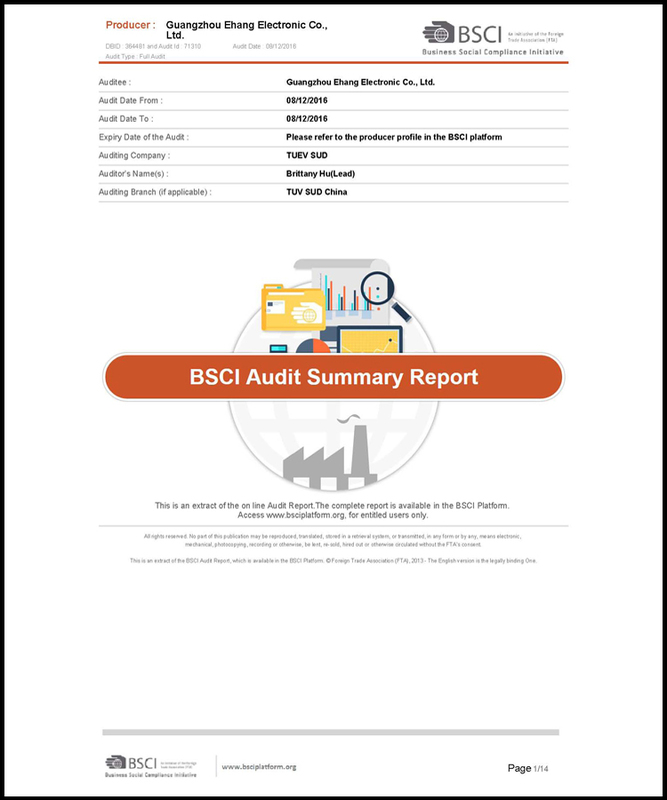 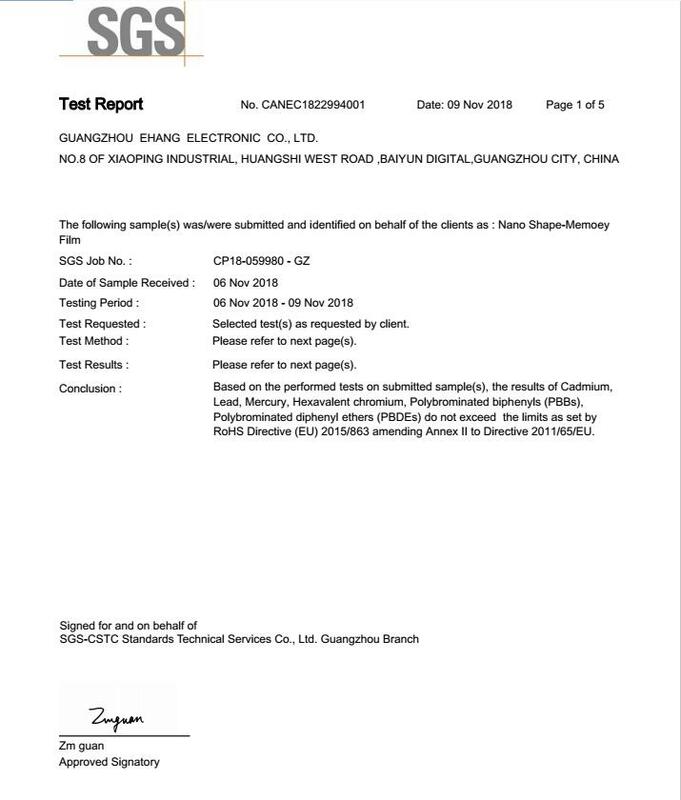 Based on the performed tests on submitted samples,the results of lead,Mercury ,Cadmium,Hexavalent chromium,Polybrominated biphenyls(PBB),Polybrominated diphenyl ethers(PBDE)comply with the limits as set by RoHS Directive 2011/65/EU Annex II;recasting 2002/95/EC. 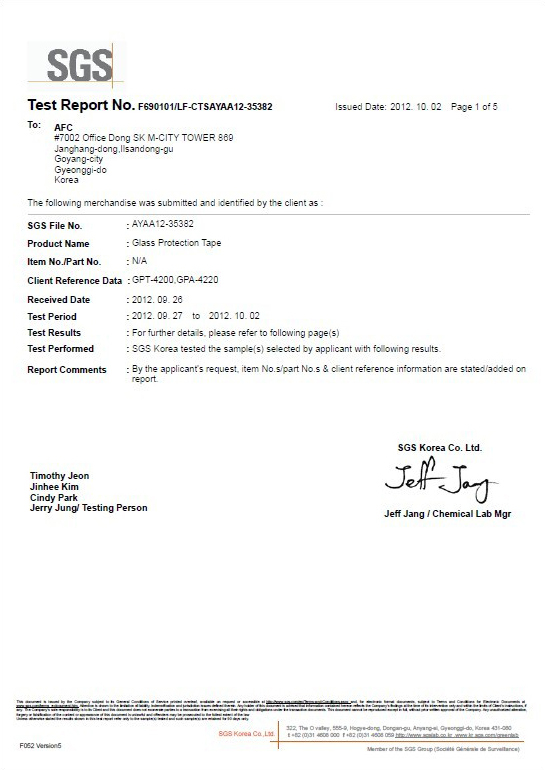 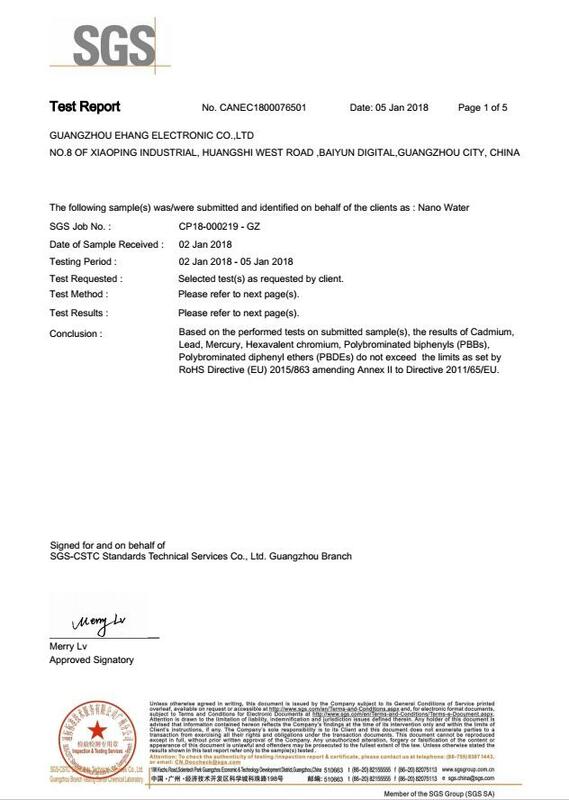 As specified by client, to test Lead(Pb),Cadmium(Cd),Mercury(Hg),Hexavalent Chromium(Cr(VI)),Polybrominated Biphenyl(PBBs),Polybrominated Diphenyl Ethers(PBDEs)in the submitted sample(s). 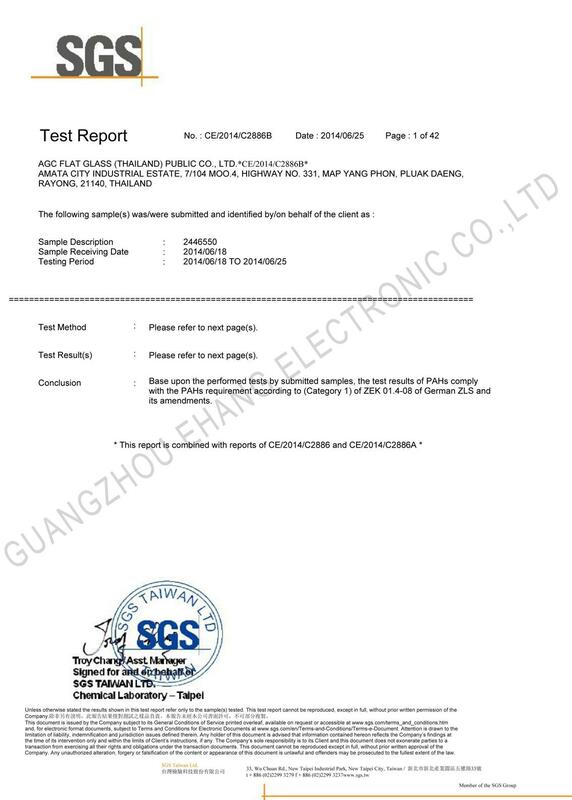 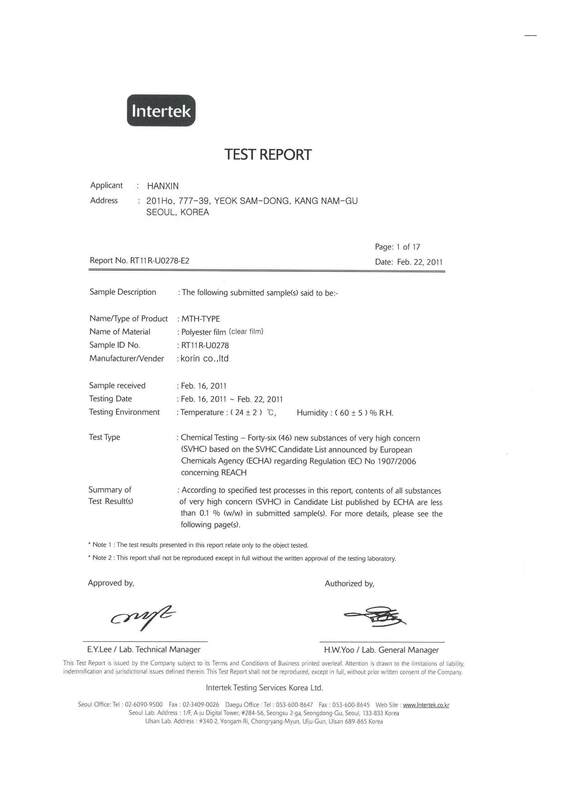 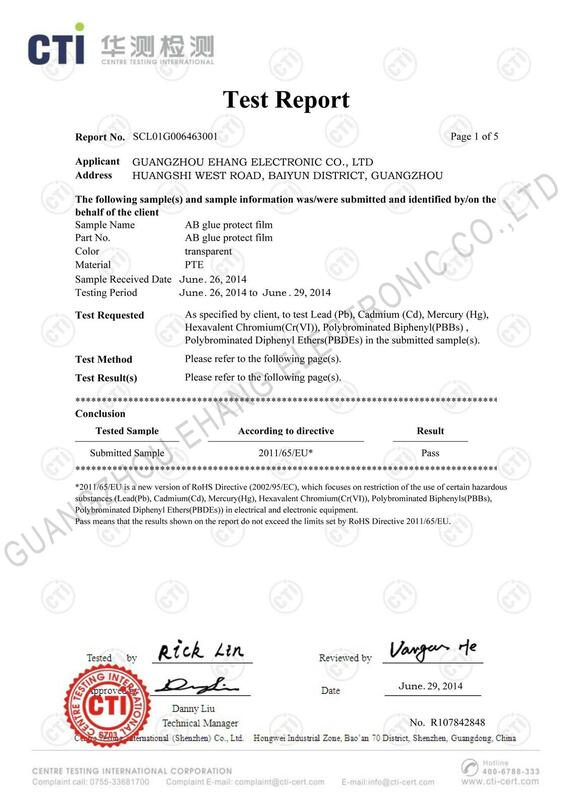 Base upon the performed tests by submitted samples,the test results oof :PAHs comply with the PAHs comply with the PAHs requirement according to (Category1)of ZEK 01.4-08 of Geman ZLS and its amendments.